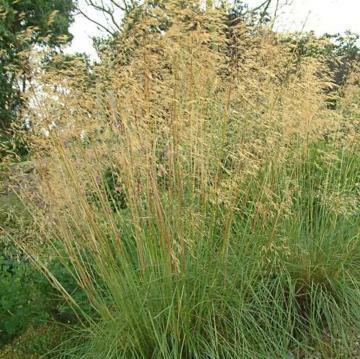 Ornamental grass suitable for dry sunny locations. Green narrow leaves forming a mound to about 50 cm. or more. 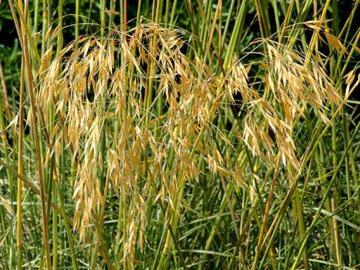 In Summer tall stems rise up to 2.5 m. carrying the beautiful dangling sprays of golden flowers.